Unless you haven't accessed the internet for a week, you must have heard about WannaCry or one of the aliases it uses, such as WannaCryptor, WanaCry or WanaDecrypt0r. In this blog post, I'll try to answer, in clear & concise language, some of the most asked questions. While there have been several excellent (technical) blog posts about WannaCry, this one will be purely non-technical and focuses on practical steps. The most obvious question, but not necessarily an obvious answer. In essence, it is ransomware, software that holds your machine and your files ransom, until a fee is paid. In its latest version, it also introduced a wormable component; in other words, it could spread to other machines running Windows in your network. A worm is a type of malware that can replicate itself and thus spread to other machines in a network. The name 'WannaCry' stems from the ransomware authors themselves, as that is how they named it. 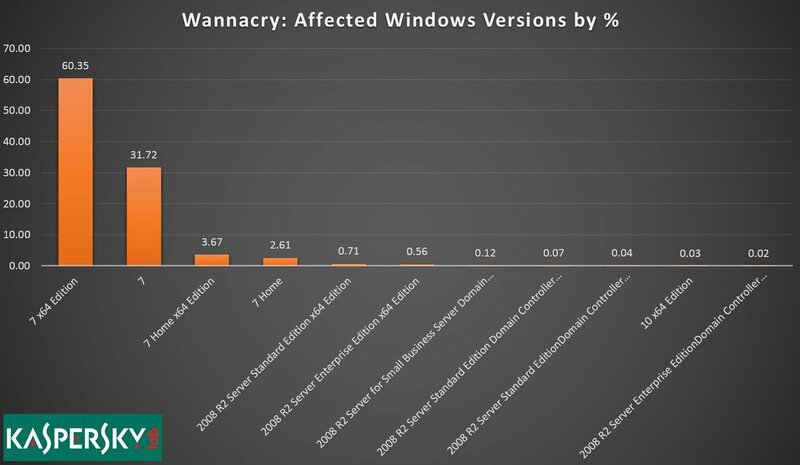 Which operating systems does WannaCry infect? Which operating systems were affected the most? Most of the operating systems or machines were running Windows 7. 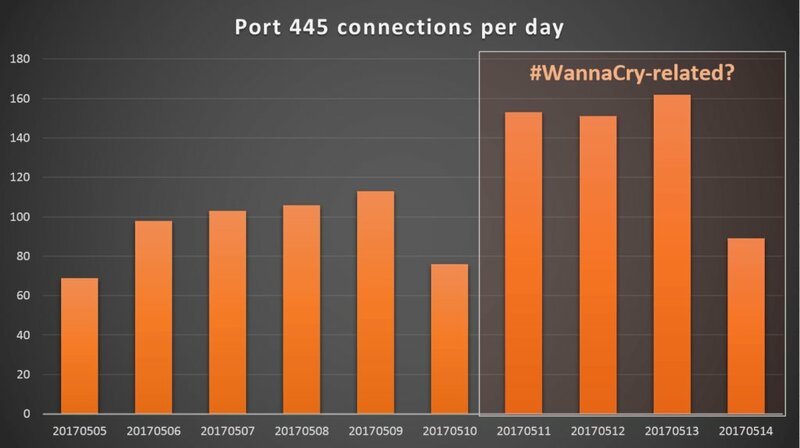 Can I spread WannaCry unwillingly to others, or in my network? It is definitely possible, but only if the worm component is active and you have not updated Windows in a while. More specifically, you will need to install MS17-010 to 'close the hole' or patch the vulnerability. When did the outbreak of WannaCry start? Can something like this happen again? Defnitely. In fact, some malware families also exploit(ed) the same vulnerability in Windows as mentioned above. This is no different in WannaCry: a specific domain was embedded in the ransomware to act as a kill switch: if said domain exists & communicates this to the ransomware; exit immediately. Thanks to MalwareTech, who registered the domain, a lot of the WannaCry infections were unable to spread further, since the domain now existed. Note that some variants appeared later with other 'kill switch domains', which were also rather quickly registered by other security researchers. Can I decrypt or recover files encrypted by WannaCry? It is possible. A tool, WannaKiwi, has been developed by several security researchers which may be able to restore your files. The tool will work granted you have not killed the ransomware process (or your antivirus didn't), and/or you didn't reboot your machine. What if the tool doesn't work? Can I restore my files in any other way? If the tool doesn't work, you may have rebooted your machine, the ransomware may have been removed or its process killed. ... Backups! If you have backups, please do try restoring from a backup first. ... Shadow Copies (Restore Previous Versions). If this doesn't work, you can use ShadowExplorer for example. ... Using data recovery software like Recuva, or for a bigger chance in restoring your files, PhotoRec. Will I get my files back if I pay the ransomware? The decrypter they send may not work at all, or does nothing. They don't send any decrypter at all. They cannot contact you or you cannot contact them for whichever reason. You are contributing to the 'ransomware eco-system', thus ensuring and increasing the amount of (new) ransomware that will emerge. You are dealing with criminals in the end. Cybercriminals, but criminals. This means there is no way of telling if they will hold up their end of the bargain. If you can avoid it, DO NOT PAY! How do I remove the ransomware itself? Any antivirus and/or antimalware by now detects all versions of WannaCry. How can I defend myself or the other machines in my network against this attack? The link here above is worth a read regardless if you have Windows XP, or a newer operating system version of Windows. If you are still using Windows XP, please do consider to upgrade to a newer version of Windows. Some computer stores may be able to offer you a discount. Note that by default, Windows updates will be performed automatically. Additionally, you will need an antivirus and a firewall. If you use Windows 7 or above, the Windows firewall is fairly decent. A free antivirus will, in most cases, suffice as well. How can I protect my files from being encrypted or targeted by ransomware such as WannaCry? The best recommendation of all times, is to create backups. It may seem a lot of work initially, but it is definitely worth it. Can I report someone, somewhere, somehow about this ransomware if it affected me? Alternatively, you may want to use my online form to fill in, (print out,) and hand over a copy to your local police department, or Computer Emergency Response Team. It is very important you report the incident. The more information that is available to law enforcement, the bigger the chance they can catch and arrest the people behind WannaCry, or others. Unfortunately, should you have paid, but your files are still encrypted, there is no sure way of telling if you'll be able to recover any monetary losses. Therefore, the advise is to NOT pay the ransom. I would like to read more. Where can I find more information? I have setup a whole page on ransomware prevention, which you can flick through. Any other questions, please do not hesitate to post in the comments, or send me a message on Twitter. I wrote a small tool yesterday that will enable you to disable Intel AMT.